As one of the nation’s leading producers of wind energy, Iowa has abundant — but also sporadic — energy resources. State officials see huge potential for batteries to help make the most of its wind and solar generation, and they hope to test it with a new grant-funded project. The Iowa Economic Development Authority has awarded a $200,000 grant to support research into the workings of two large solar-plus-storage projects by Fairfield-based Ideal Energy. Ideal will gather information about how the systems work and share it with a team of researchers at Iowa State University who will analyze it. In another effort to advance storage in Iowa, Sellinger’s office also recently convened what it’s calling the Iowa Energy Storage Committee, with 18 people representing a raft of academic institutions, utilities, environmental organizations and government agencies including the state’s utility regulator. The committee, which will hold its third meeting in October, has been instructed to devise an “action plan” sometime in 2019. Ideal Energy has been an energy storage pioneer in Iowa, having installed a 30kw/60 kwh battery at a large consignment store in Coralville. It now is working on two projects it claims are the largest solar-plus-storage projects in the state. At the Maharishi University of Management in Fairfield, Ideal is installing a 1.1-megawatt solar array along with a 350-kw, 1050-kwh megawatt battery. And at Agri-Industrial Plastics, also in Fairfield, Ideal will install 517 kilowatts of solar panels and a 210-kilowatt, 430-kwh storage system. The installations employ two types of batteries and provide energy for two different usage patterns, and so will provide information on a variety of scenarios. The plastics company, which has demand spikes throughout the day, is using a fairly conventional lithium ion battery. Maharishi University, which has a smoother bell curve to its energy demand, opted for a vanadium flow battery, which uses more of a liquid mixture, according to Aurelien Windenberger, Ideal’s director of design and finance. While that may be the case in other locations, Windenberger said no one really knows if it’s true in the Midwest because there’s been almost no research into the question in this region. Because batteries are vulnerable to climate, with cold diminishing performance and heat leading to long-term degradation, Windenberger said its critical to research battery technology in the Midwest as well as across the country. Economic factors, like the cost of electricity, also can vary hugely, Sellinger said. The only way to assess how long it takes to pay off a battery in Iowa is to factor in the price for power there. Batteries have made faster headway in regions like the East and West coasts where power is pricier, he pointed out. One aspect of power pricing in Iowa — particularly in the territory served by Alliant Energy — actually could put some momentum behind battery storage, and that is the practice of charging demand fees. 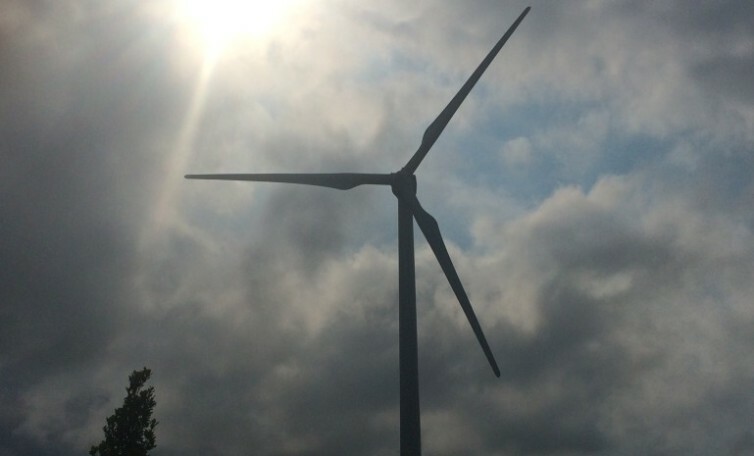 Alliant charges some of the highest demand fees in the nation, according to a study published a year ago by the National Renewable Energy Laboratory. Their ability to reduce high peaks in electricity use make batteries potentially powerful in reducing bills for perhaps as many as 20,000 customers in the Alliant territory, according to the study. Ideal Energy will have an important partner in this research endeavor. As the executive director at Iowa State’s Electric Power Research Center, Anne Kimber is part of a research team that is trying to better understand how renewable generation impacts distribution systems. The researchers have created a model of a distribution system and are excited to have data from an actual storage operation against which they can test their model. Karen Uhlenhuth is a reporter with Midwest Energy News, a member of the Institute for Nonprofit News to which IowaWatch also belongs. Read her original story here.